Dolapo Kukoyi is a Partner at Detail Commercial Solicitors and leads the firm’s Power Practice. She is one of the leading lawyers in Nigeria’s Power sector with extensive experience advising clients in the private sector, government agencies and regulators on a wide range of complex transactions. Her transactional experience includes advising the Central Bank of Nigeria and the Nigerian Electricity Regulatory Commission (NERC) on the 213 billion naira Intervention Fund for the Nigeria Electricity Supply Industry; and advising clients on the privatization of the Power Holding Company of Nigeria (PHCN) and National Integrated Power Project (NIPP) assets in the Nigerian Power sector. 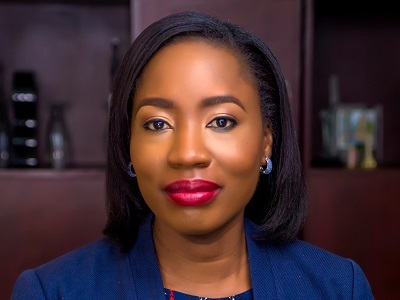 Dolapo played an active role as a member of a core negotiating team nominated by the Disco Roundtable and Investor Group (pressure groups created by bidders in the privatized Distribution Companies and the NIPP assets) to negotiate with the Nigerian Government and Regulators on issues common to them. Dolapo also led a team working with the Nigerian Energy Support Programme and NERC on the Mini Grid Regulation; and is currently advising the Lagos State Government on the Light Up Lagos project to facilitate the delivery of 3000MW to Lagos State through embedded power generation. Dolapo earned her law degree from the University of Ibadan in 2001 and was admitted to the Nigerian Bar in 2004. Dolapo is recognized as a Leading Lawyer, Corporate, M&A and Project Finance by the International Financial Law Review (IFLR). She was awarded 40 Under 40 Leading Lawyers in the ESQ Nigerian Legal Awards, 2016; and awarded one of 50 Most Impactful Social Innovators (Global Listing) in the World CSR Awards 2018.